Be able to upload 2303 form and verify your organization. 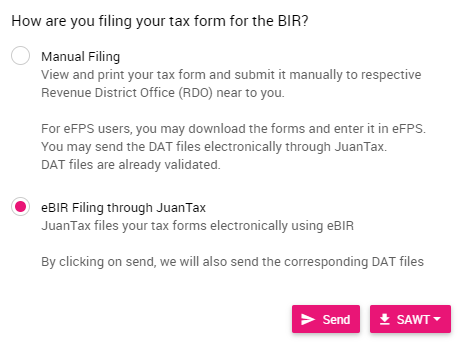 In order for you to opt the eBIR filing method in JuanTax, you'll first need to have a scanned image of your Form 2303 (Certificate of Registration). Note: BIR Form 2303 is a basic requirement to operate a business in the Philippines. After obtaining an image of your certificate, proceed to Settings>Business Registration (2303). You’ll notice that your organization is still having the “Unverified” status since you still haven’t uploaded an image. Start uploading your image by clicking the Verify button. Once you've uploaded an image of your 2303 certificate, you will have to wait for your organization to be verified. 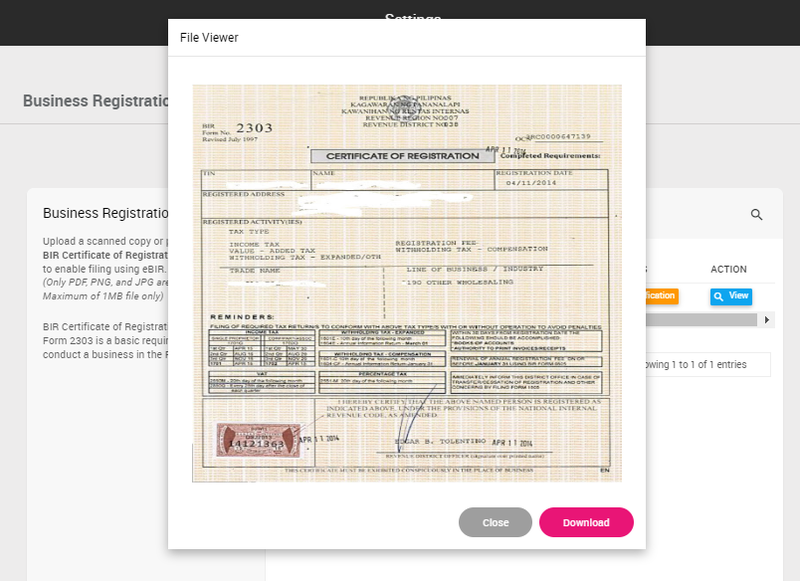 You also have the option of viewing an image of the 2303 certificate that you've uploaded, and download a copy of it as well. This process can take up to a few hours and an email notification will be sent to you. Once your organization has been verified, you would now be able to access the eBIR filing option. 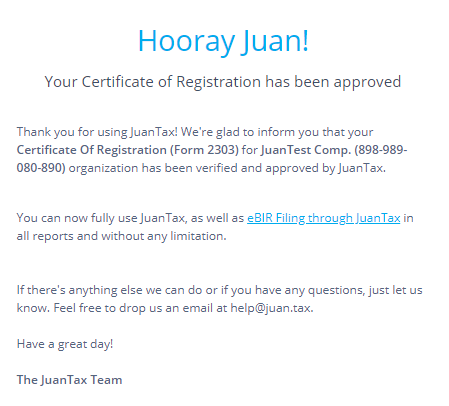 This process applies to all the branches within an organization that are registered with JuanTax. Opting the eBIR Filing option would enable you to electronically send returns to the BIR, along with DAT and Excel formats of SAWT files.